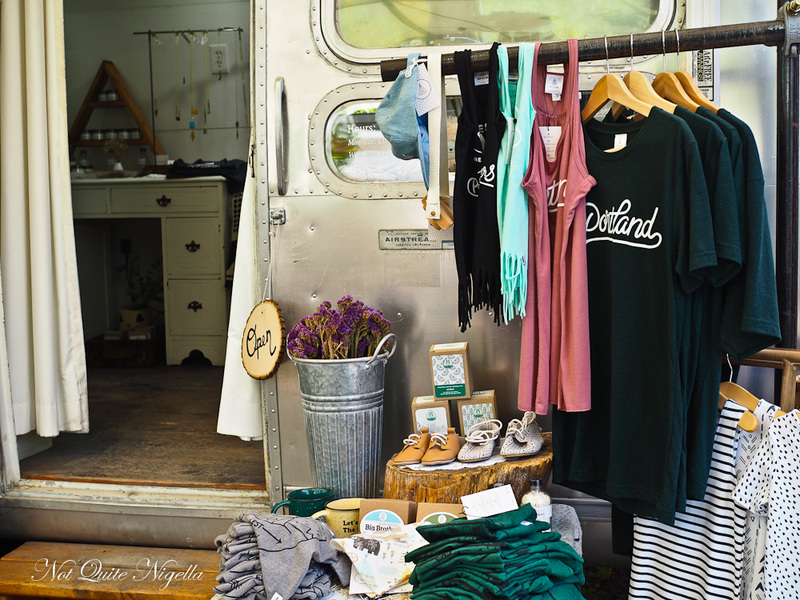 Exploring food carts, dining at the famous Pok Pok restaurant, drinking Rosé and an al fresco seafood feast at Jacqueline are just some of the wonderful things you can do during Portland's summer! Even at 3pm, the queue at Pok Pok is long. We had been warning but when we arrive at the insanely popular Pok Pok Thai restaurant on Division Street, we are told that the wait is around 30 minutes. At 3pm. Yep. 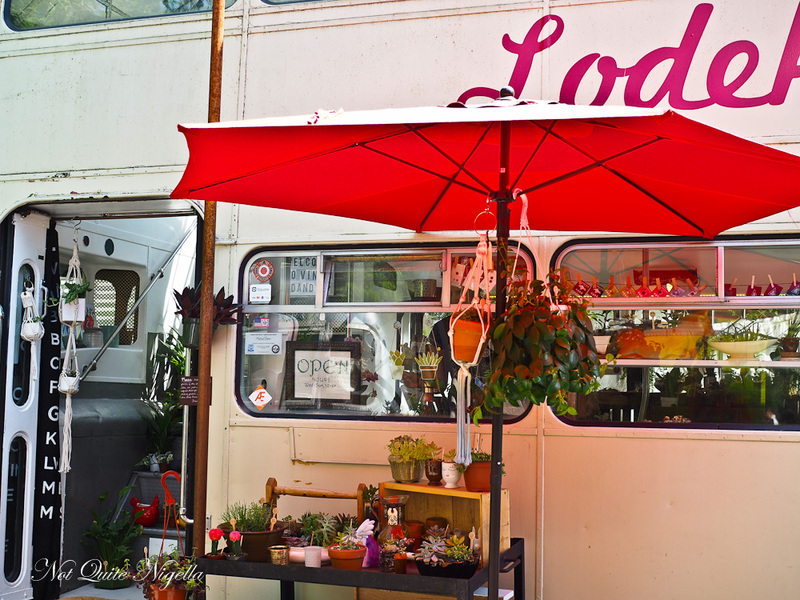 So we make the most of our 30 minute wait for our table by walking down the street to the Tidbit Food Farm and Garden food cart collective that we had driven past yesterday. The carts change-the ones that are currently here are different to the ones I had seen online but they're a good, varied mix of offerings from ramen, hot dogs, pizza, sushi and shave ice. 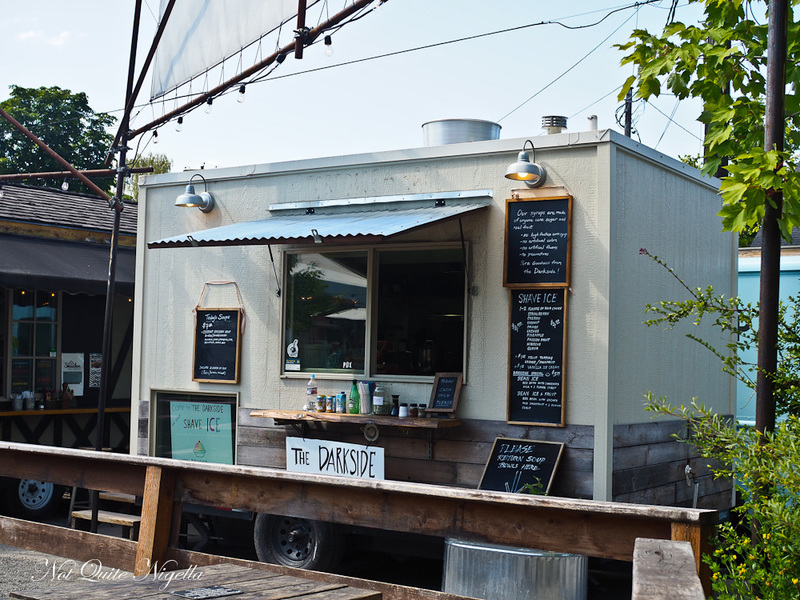 The summer heat and impending meal at Pok Pok means that the shave ice at The Dark Side cart appeals to us the most. 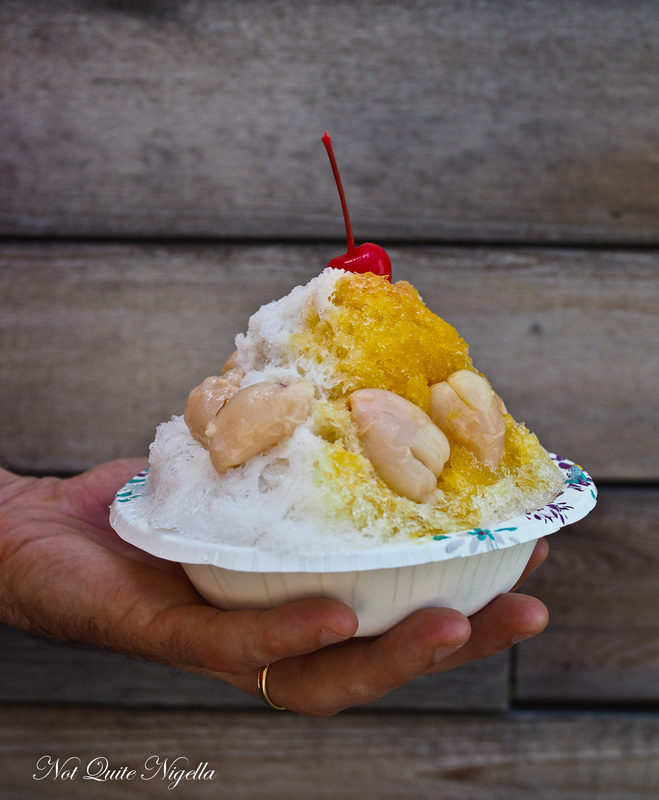 We buy a mango, coconut shave ice and add lychees onto it. It's wonderful, the ice soothing our brows. And as we are finishing it, we get the text from Pok Pok that our table is ready. 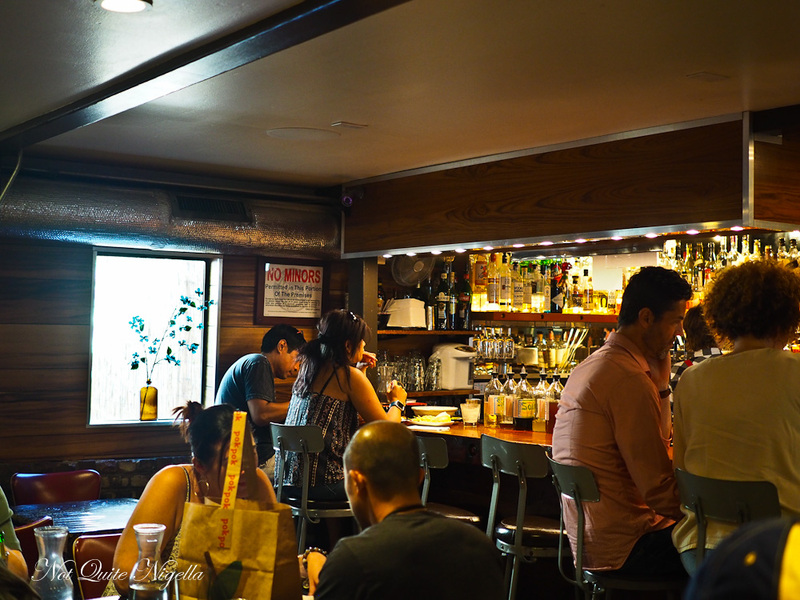 Pok Pok has an outdoor area as well as an indoor area which is air conditioned. We follow the hostess to the indoor section. There are booths and tables and we see everyone around us with a plate of Pok Pok's famous wings. 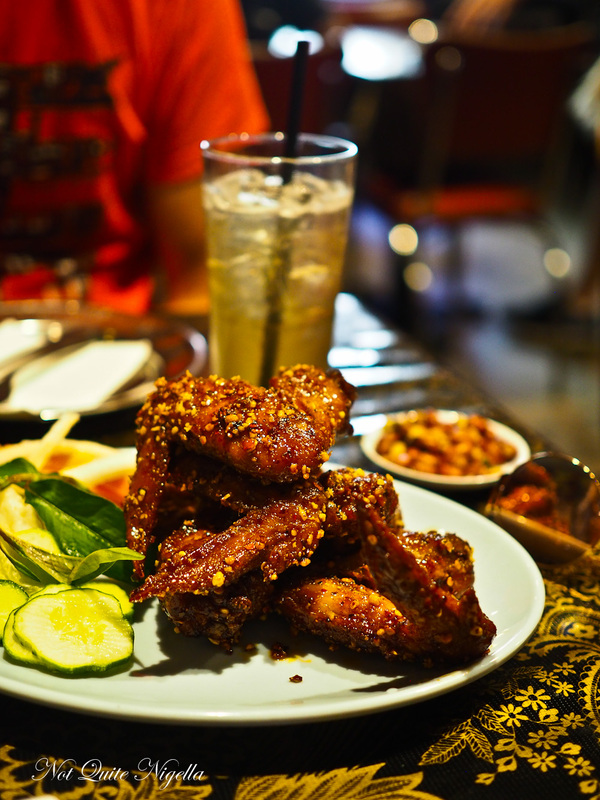 Ike's Vietnamese Fish Sauce wings are what Pok Pok is famous for and they are named after the first chef here Ike "Ich" Truong who invented them. We also order a Som Tamarind Drinking vinegar ($5USD) which they top up with soda water. It's so refreshing in this heat. The chicken wings arrive and they smell fantastic. We dig in quickly while they're hot. The wings are marinated in fish sauce and sugar and are then deep fried and then tossed in a Vietnamese fish sauce and garlic mix. Next to them is a pickled vegetable salad. The wings are fabulous-quite salty but utterly moreish. They're available as regular or spicy but even spicy isn't very hot so when I ask for some chilli they bring the little caddy of condiments that you get in Thailand. I use the chilli powder rather than the salty green chilli mix. These wings are the kind of dish that I just want to keep eating over and over again they're that good and deserve the hype. Come late afternoon, it's time for some rosé. 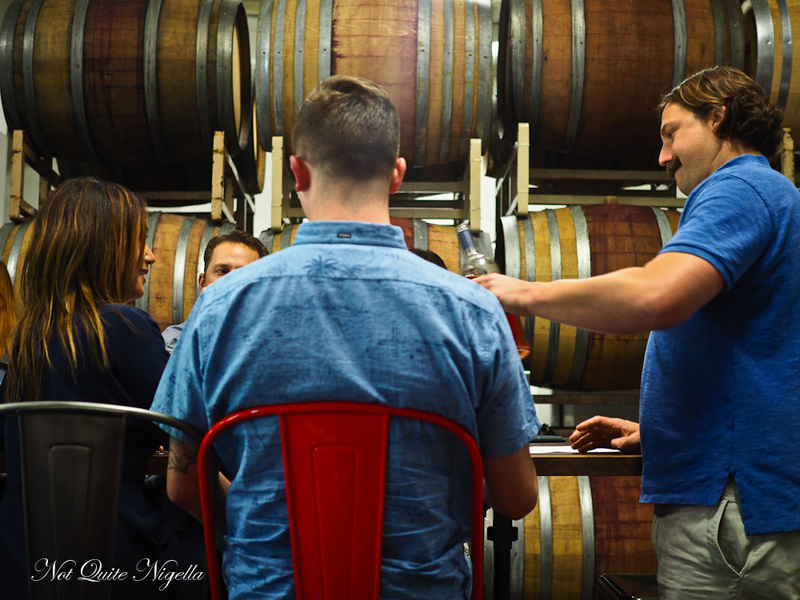 "Rosé isn't something to pound on your patio," says Tom Monroe. 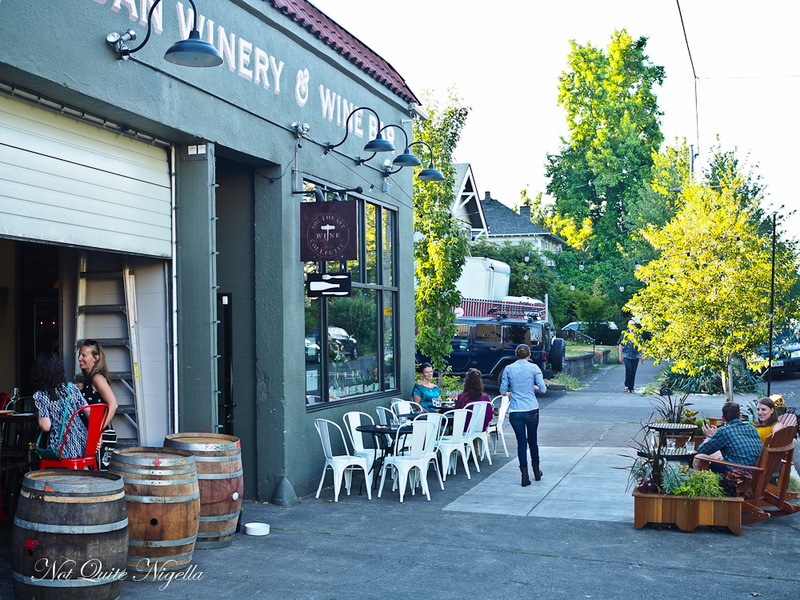 SE Wine Collective is a wine bar that also holds special events. 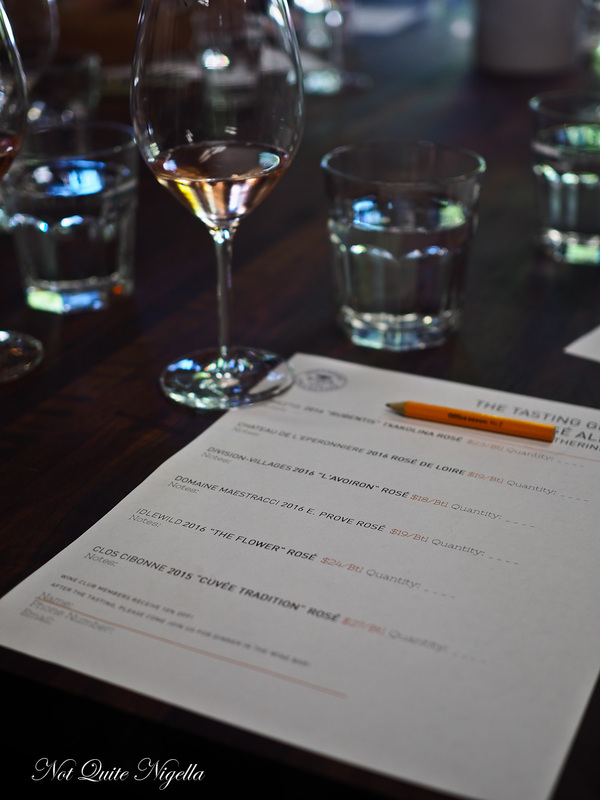 Tonight's event is based around rosé-it's a popular summertime wine that is a rapidly growing category in North America. The host for the evening is Tom (who also makes rosé) and wine writer Katherine Cole who has just launched her book All Day Rosé. There are six rosé wines from around the world for tasting this evening in this 1.5 hour event. Katherine introduces each wine and explains where it is from and imparts a few tidbits of information during these talks. Her tips for picking a good rosé are a) any rosé from the Loire Valley will be good b) look at the importer's label on the back. If it a good importer the rosé is usually good (she names Neil Rosenthal as a good importer). At the CIVP or the Provence Wine Council they actually assess a rosé wine first on its colour, as opposed to the aroma or even taste. Many rosés used to be afterthoughts when a red wasn't good enough they turned it into a rosé but there is an increasing number of wine makers that set out to make rosé. We try a Ameztoi 2016 "Rubentis" Txakolina Rosé from the Basque Country to a Divison Villages 2016 "L'aviron Rosé" to a Idlewild 2016 "The Flower" Rosé which was made from grapes grown in Mendocino. This and the Clos Cibonne 2015 "Cuvee Tradition" rosé have both undergone malolactic fermentation that gives the wine more of a creamy feel. This also means that the wines don't need any sulfur added to them and have a more pleasant aroma when opening the bottle. 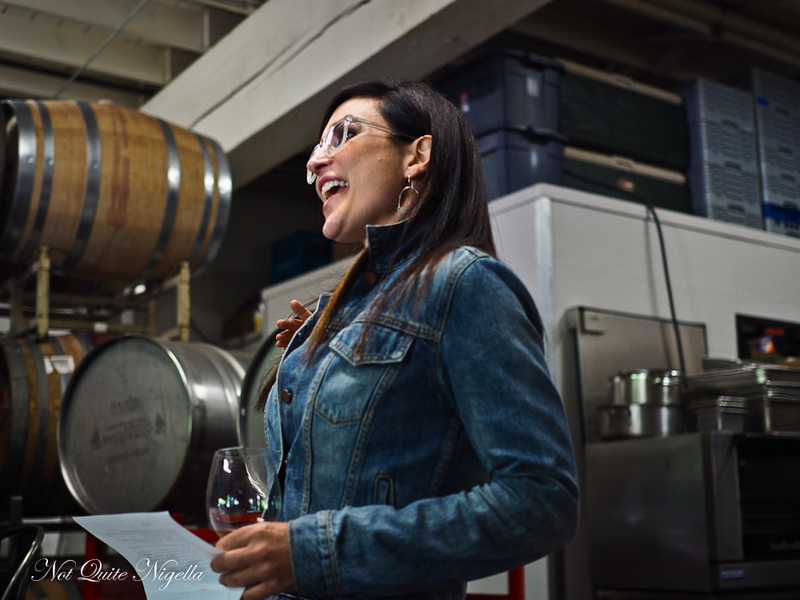 Katherine explains that rosé isn't just a woman's drink like it is perceived. 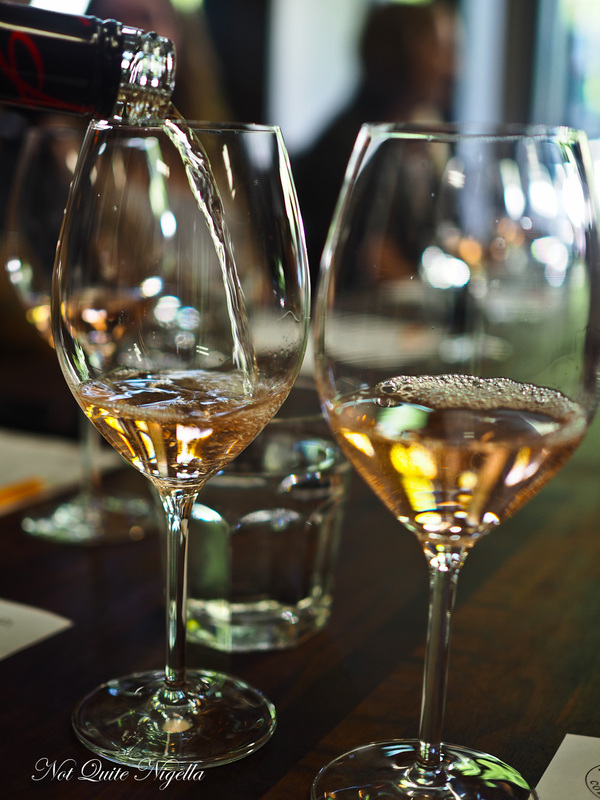 In fact 47% of rosé's customer base is men (hence the term brosé) and the three fastest growing categories in America are rosé, riesling and sherry. This is driven by millenials who don't mind the sweetness while older clients prefer dryer style wines. 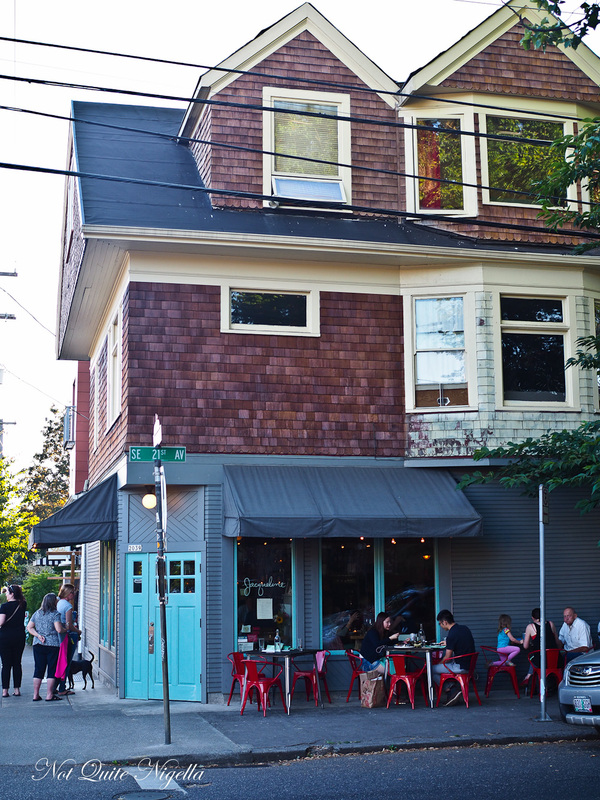 After some rosé, we head towards Clinton St to Jacqueline, a small neighbourhood restaurant that focuses on seafood of the Pacific North West. The theme of the restaurant is the film "A Life Aquatic" and features photos of Bill Murray on the walls (although this theme isn't as overt as I had read it to be). It's cool and air conditioned inside but we love the warm weather so we ask to sit outside. And that's where the people watching begins. A man rides past in a pink and white outfit with a koala bear backpack and so follows creative looking unique types. Alas they're gone before we can snap a picture. 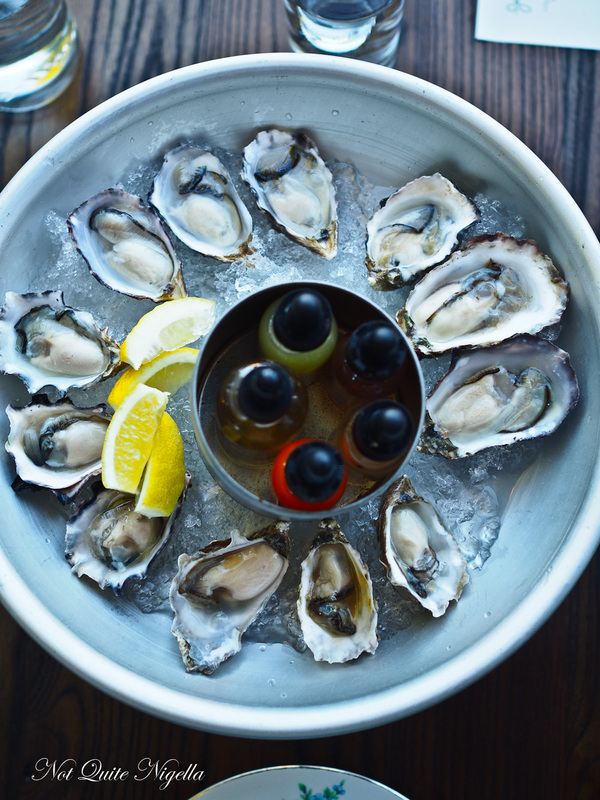 We start with a dozen oysters that come with a range of sauces to be delivered onto the oysters via a dropper bottle. There's red Tabasco, tarragon vinegar, horseradish mignonette and jalapeno hot sauce. They're all quite briney and salty numbers but sampling this way really brings home the fact that they really do all differ a lot. 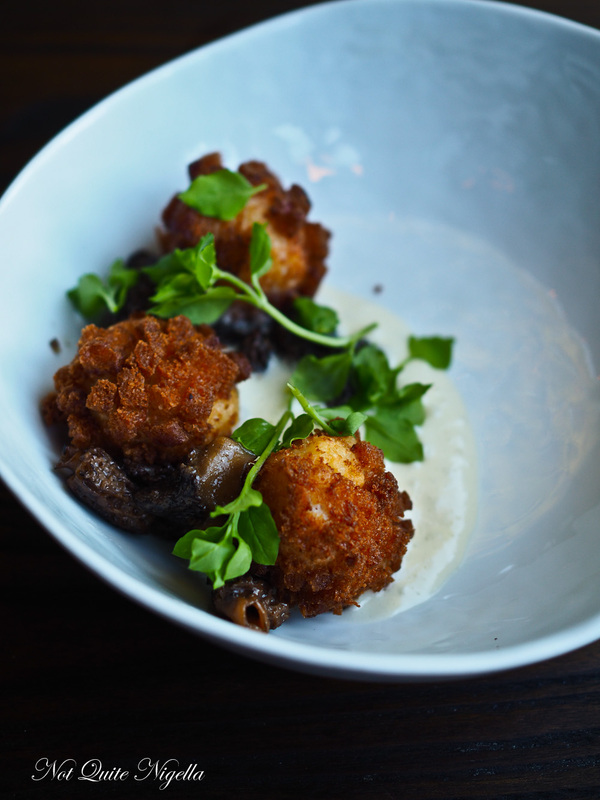 We follow this with a dungeness crab fritters, potato mousse, morel mushrooms and chickeweed leaves. The fritters themselves are a bit salty but it would be a wonderful dish if they were less seasoned. 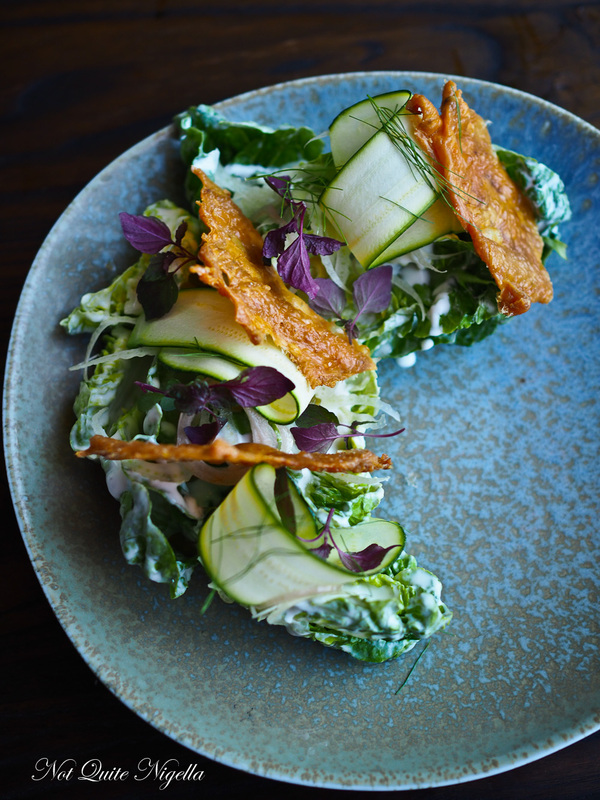 The little gem lettuces are served as little cups drizzled with goat milk kefir, Sauvie Island fennel, thinly shaved squash and finished with crispy chicken skin. The paella did take a bit of time to cook as it's freshly made and by now poor Mr NQN's migraine is taking hold. The waitress suggests stopping by the nearby dispensary to buy some weed. Yup weed is legal here in Oregon and it was one of the 7 states to legalise it. Mr NQN goes off to look for a "natural remedy" while I try some paella. 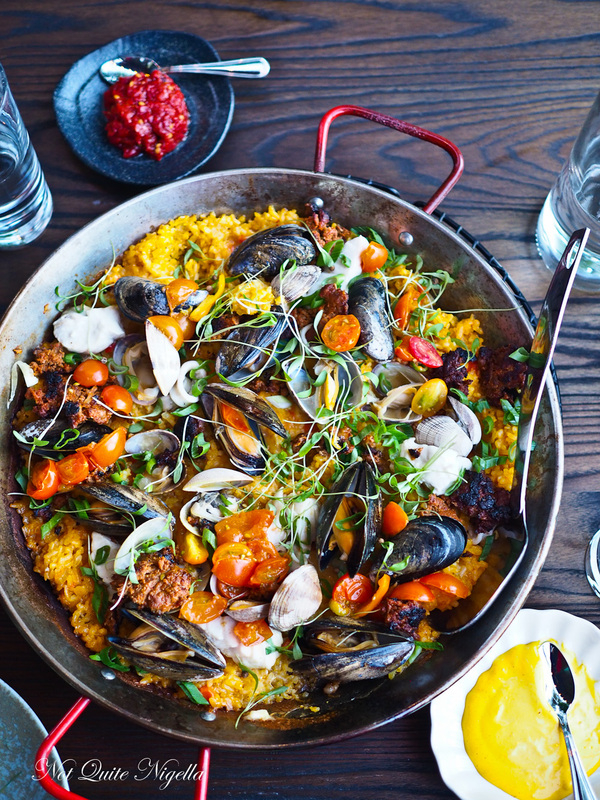 There's an appealing "crispy" layer at the bottom and plenty of seafood and skinless chorizo on top. The seafood is perfectly cooked so that it isn't rubbery at all and they serve this with a moreish pepper piquillo and saffron rouille. I don't usually order panna cotta because it is so easy to make but we wanted something simple for dessert. Blueberries here in America are so sweet - I don't often eat them in Australia as they are more tart. 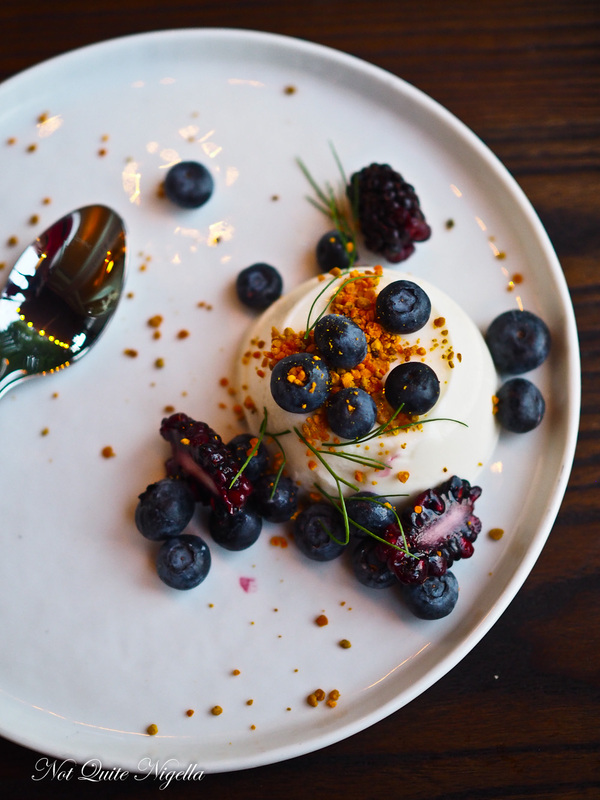 The panna cotta is light and easy to eat with fresh blackberries, blueberries and bee pollen. 10 minutes later Mr NQN return empty handed. The dispensary is closed alas. He may have to wait another day. So tell me Dear Reader, would you try pot if it was legal in the state that you were visiting? Which cult or hyped foods have you tried and been impressed by? And in summer, do you prefer to sit inside with air conditioning or outside? NQN and Mr NQN were guests of Travel Portland but all opinions remain her own. 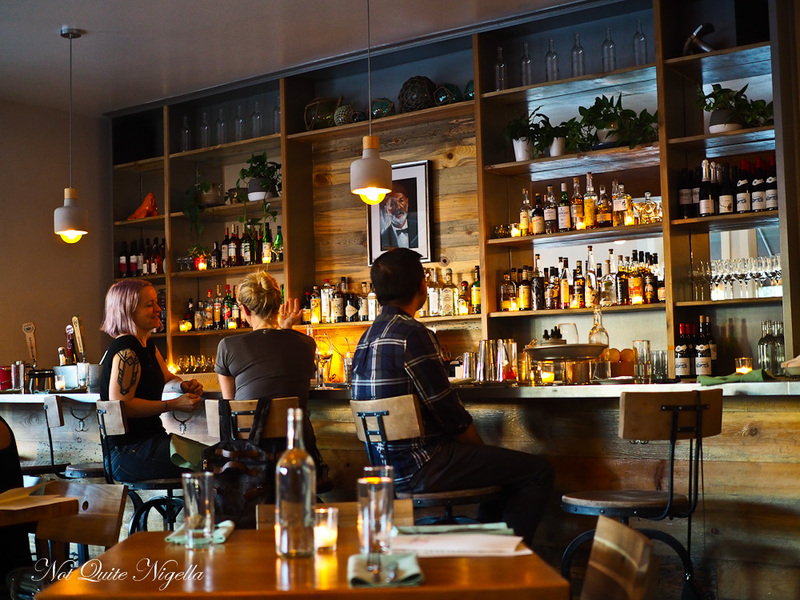 Meals at Division Street and Pok Pok were idepdently paid for. recipeA New Year's Day Southern USA Feast! Plus the BEST Cornbread Recipe Ever!